line, you can make these!! because the fabric I’m using has a distinct direction. 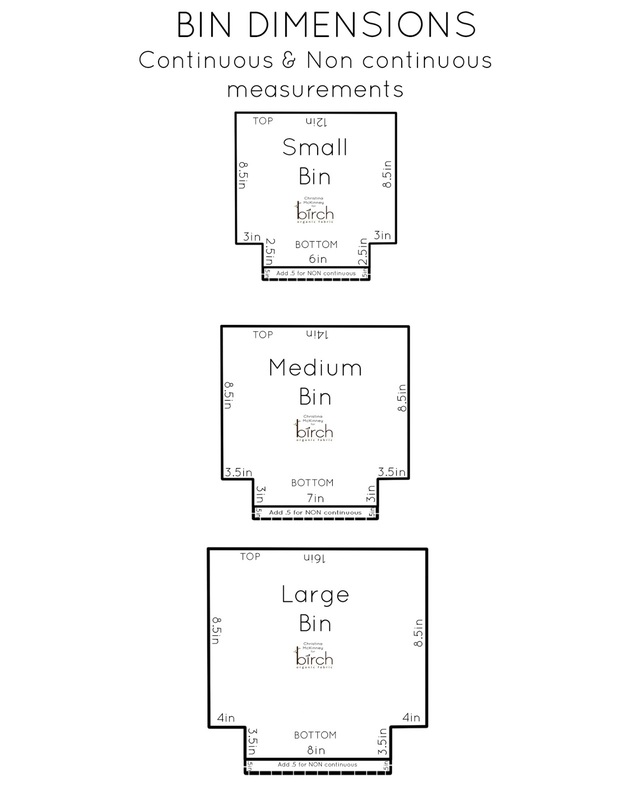 All bins measure 8in tall before folding down. It is possible to cut this on the fold as one continuous piece. For directional fabric, use the measurements given for “non continuous” to make your template. on the fold, you are cutting two separate pieces. that holds the outer piece tight as well. right sides together, sew up each side. Press your side seams open. Repeat with the remaining side. Repeat this process with your lining fabric. seams. They should now be right sides together. when you turn everything right side out. bin, 1/4in from the edge. Optional – Turn down the top edge 1-2 inches for a cute finish. I pressed this seam to give it a crisp edge. Thanks for following along – Now go organize something!! Fort Firefly Is Shipping to A Shop Near You Soon! Love it! Thankyou for sharing! Super cute and easy. Love it! Oh thanks for this tute! I have a baby shower in a few weeks and a set of these will be perfect!! Your bins are adorable. I hope to give them a try as well. This is so cute and practical! Thank you for the great tutorial! Do you think it is okay to use dressmaking fabrics for this craft? Well I have several extra dressmaking fabrics and wants to use for craft instead of just throwing them away. The side measurement remains the same on all sizes of the bins (8.5 in). Is this correct? I'm in LOVE with that fabric! Just made these and I love them! Great instructions. It is 🙂 The height stays the same, it's just the width that changes. I saw this darling bunny on Julie's blog and loved it so much! I made a couple and did a blog post with them and directed viewers back to your blog for the tutorial. Hope that's okay. Oops! I got confused about my previous comment– I also made your bin/basket (in addition to the bunnies) and directed viewers back to your blog for this great tutorial. Thanks for showing us how you made the darling bins! These are great bins and so very easy! I made mine a little bigger than your large, and I think the next time I will use interfacing on both sides to make it more firm. Thanks for the easy tutorial! I love these! I have saved on my pc to make these. Thanks for great and simple tute. I am new to sewing and I feel I can make these. thank you for a great tutorial!!!! Thanks for sharing & making it easy to follow. I can't wait to start!!! I love these! I'll make two sets as this is also a great gift idea for a crafty friend. Thank you! Great project! I can think of so many ways to use these! Thank you! These are great and so quick to make! I will be making many more of these to organize all my things. Thanks for the fabulous tutorial! I just discovered your tut; thank you. What does it say at the bottom of each pattern piece between the solid line and the dotted line. Thank you for sharing your work with us. Any idea whether it is possible to use Canvas instead of 'fabric combined with Poplin? Thank you so much for the tutorial! I just mad the medium sized and the small one. So easy to follow yout directions. Can't wait to see what more you have. These have got to be the easiest thing I ever done. I made 2 today in the large size, and I want to continue!! What cute gifts they would make!!! Thanks so much!! These bins are just darling. I'm going to make a set for a friend & probably for myself too! Very easy to follow! Thanks for the pattern! Brilliant pattern, you are so smart! And generous. Really appreciate this.